Quicker load than web page. 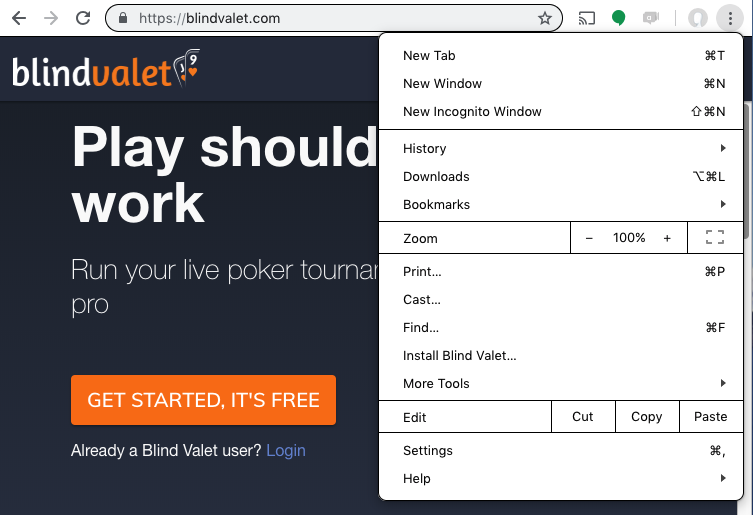 When launched from the PWA icon Blind Valet will load without the browser address bar giving you a more app-like experience. 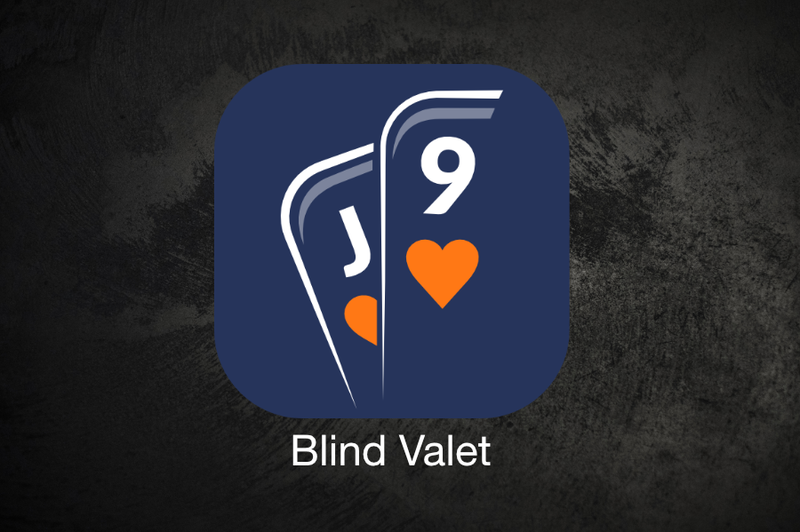 How to install Blind Valet to your home screen? 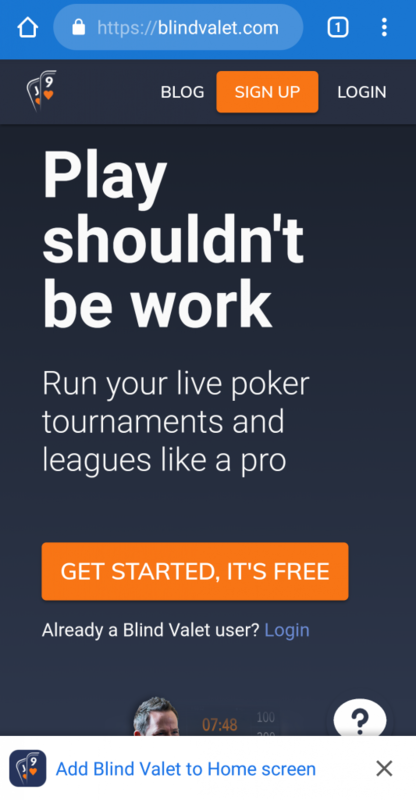 If you are using Chrome on Android, you should see a popup at the bottom of the page when you visit https://blindvalet.com. 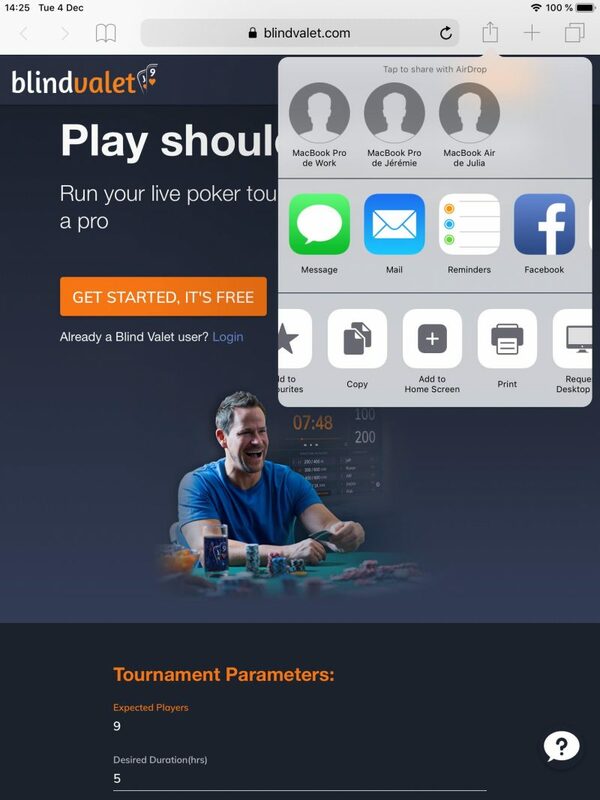 Make sure you are on the latest version of iOS and open Blind Valet in your Safari browser. Then click on the share button and then “Add to Home Screen”. Next PostRe-entry tournaments are here!